Price: $42.50 VIP Meet & Greet Packages are also available. VIP Meet & Greet Packages are also available. 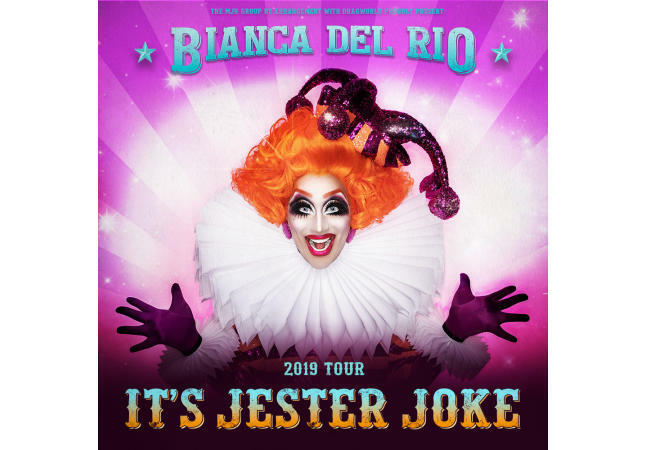 After global sold-out tours, comedy queen and RuPaul’s Drag Race champion Bianca Del Rio announces North American dates for her brand-new comedy show It’s Jester Joke. The self-proclaimed “clown in a gown” tells tales of her worldwide adventures and the outrageous circus that is her life in her comical “tell it like it is” voice, covering life from politics to travel, family and social media. From her home base in Los Angeles, Bianca Del Rio continues to tour the world captivating fans with her sharp wit, dismembering humor, and perceptive commentary in a brash, metro kick to the ego—everything and everyone is her target. 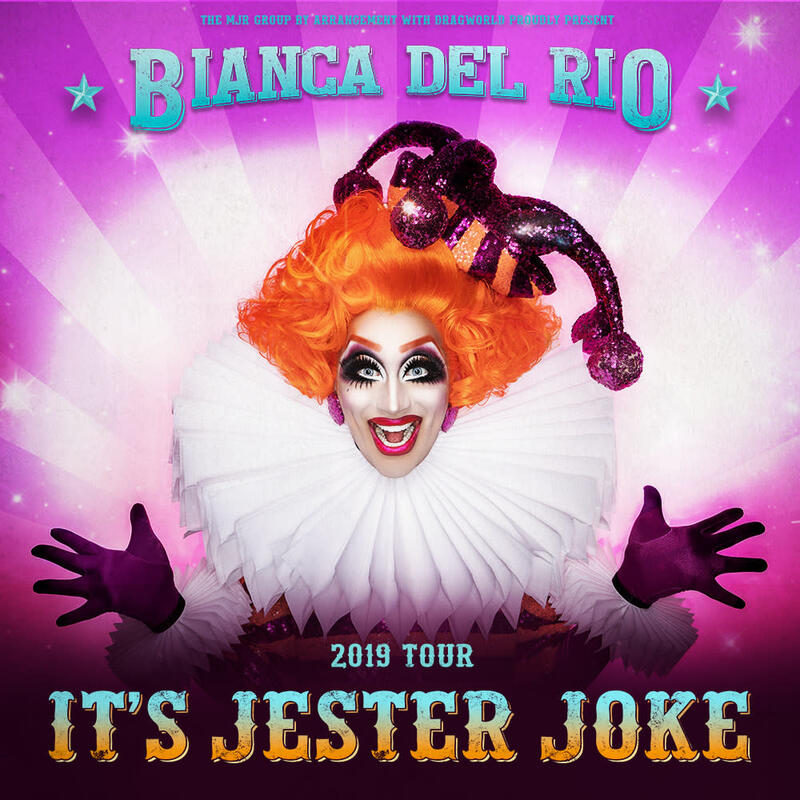 Don’t miss your chance to see Bianca Del Rio in her fiercely funny new show in 2019.